Background/Purpose: Baricitinib (formerly LY3009104/INCB028050), a novel, oral inhibitor of JAK1 and JAK2 in the JAK-STAT signaling pathway, has been evaluated in a 12-week blinded phase 2b study in Japanese patients (pts) with moderate to severe rheumatoid arthritis (RA) with inadequate response to methotrexate (MTX). Methods: Japanese RA pts, based on the 2010 ACR/EULAR criteria, with active symptoms (at least 6 swollen and 6 tender joints based on the 66/68 joint assessment) on stable MTX (6 to 16 mg/week) were randomized 2:1:1:1:1 to receive placebo (PBO) or 1of 4 once-daily baricitinib doses (1, 2, 4, or 8 mg), respectively, for 12 weeks. The primary objective was to evaluate the efficacy of baricitinib as assessed by the combined proportion of pts in the 4- and 8-mg dose groups who achieved an ACR20 response compared to PBO over 12 weeks. 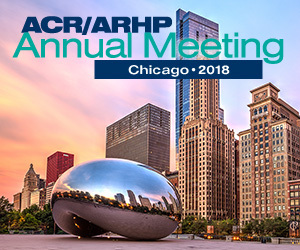 Results: Of the 145 pts randomized and treated, 77% of the combined 4- and 8-mg (67% of the 4-mg and 88% of the 8-mg dose) groups achieved ACR20 responses compared with 31% of PBO-treated pts (p≤0.001) by the end of 12 weeks. Significant differences versus placebo (p<0.05) were observed in the proportion of patients achieving ACR20 and ACR50 in a dose-dependent manner at Week 12 (Table1). Similarly, greater proportions of pts were judged as disease remission by DAS28CRP<2.6, SDAI≤3.3, and HAQ-DI≤0.5 in the 4- and 8-mg dose groups compared to PBO (Table 1). Over 12 weeks in the PBO and combined baricitinib groups, there were similar incidence rates of adverse events (AEs) (53% vs 55%, respectively). Most AEs were mild. There were no opportunistic infections and no deaths. Serious AEs were reported in 2 pts. Decreases in hemoglobin were small (Table 2). This was probably due to the iron supplements that were allowed during the study. Small increases in serum creatinine were seen (Table 2). Several bone metabolic markers and systemic inflammatory markers such as serum TNF-alpha and IL-6 were evaluated. Some bone markers showed dose-dependent changes from baseline. In P1NP and osteocalcin, significant decreases compared to PBO were observed only in the 4- or 8-mg group (p<0.05), but not in the 1- or 2-mg group at Week 12. Conclusion: Clinical efficacy of baricitinib against PBO was demonstrated in this Phase 2b study of baricitinib in combination with background MTX in Japanese pts with moderate to severe RA over 12 weeks. Baricitinib was well tolerated. Safety signals observed over 12 weeks were consistent with previous studies of baricitinib in non-Japanese pts with RA. 1-sided Fisher’s exact test. *non-responder imputation; **last observation; ***p<0.05 vs. PBO. Abbreviations: ACR20/50 = American College of Rheumatology 20/50 responder index; DAS28CRP = Disease Activity Score 28 using C reactive protein; HAQ-DI= Health Assessment Questionnaire – Disability Index; PBO=Placebo; QD=Once-daily; SDAI=Simplified Disease Activity Index. Abbreviations: HDL=high-density lipoprotein; LDL=low-density lipoprotein; PBO=placebo; QD=once daily.